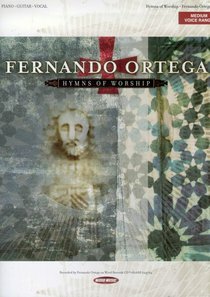 Classically trained as a pianist but also steeped in the Hispanic tradition of his New Mexico homeland, gospel singer/songwriter Fernando Ortega recorded more than a half-dozen LPs for various labels before signing to Myrrh/Word in 1997, as part of a Christian musical renaissance which saw a variety of musical traditions entering the liturgies of mainline churches. An aficionado of American and Irish folk as well as the Spanish-oriented music he grew up with, Ortega also studied early music and hymns as part of his education. He recorded on his own for several years before signing to Myrrh, and worked with producer John Andrew Schreiner for his major-label debut, 1998's This Bright Hour. Home followed two years later.